Hi everyone, and thanks for stopping by. 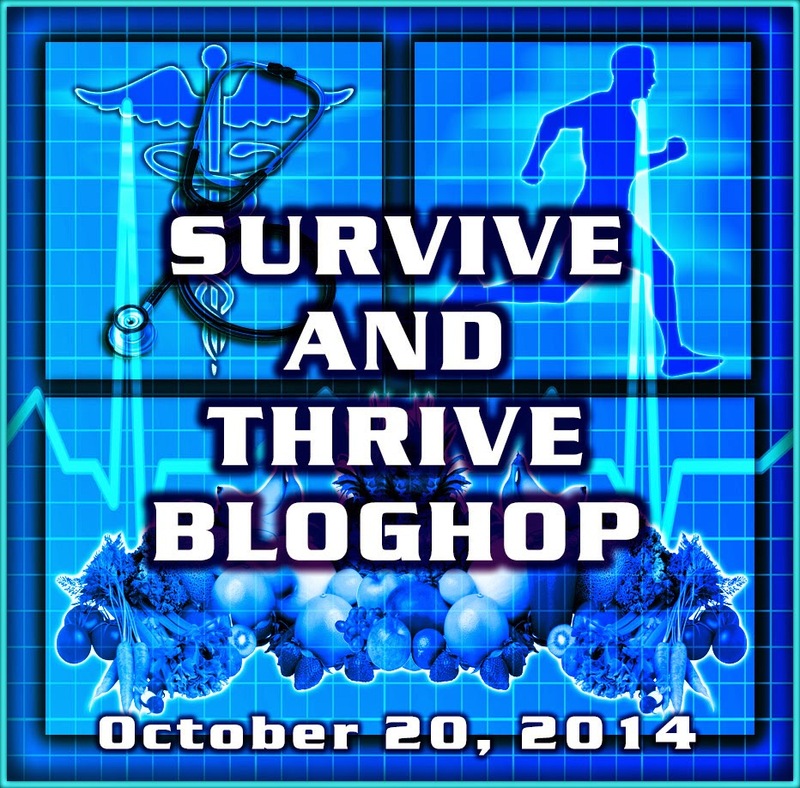 Lots going on this week, but the most important is the 2014 Survive and Thrive Bloghop set for Monday, October 20th. 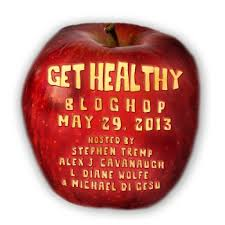 This is the follow up to last year’s Get Healthy Blog Hop and sponsored by the same group of bloggers: Alex Cavanaugh, Diane Wolfe, Michael Di Gesu, and myself. The topics are wide open. You can post about a particular cause you support. Or you can share a personal or family experience that is near to your heart. For Example: I had pre-cancerous polyps removed (twice) that were caught during a routine colonoscopy. Thanks to early detection, I had them removed. And I had no polyps during my recent colonoscopy earlier this month. So if I can inspire people to go in for a colonoscopy and they catch and remove cancerous polyps, then I’m happy I could help someone. So sign up on the Linky list below. This promises to be one of the most practical Blog Hops of 2014 as we can all share something with the world that can help make it a better place. Did You Know: NASA’s newest generation of satellites depart radically from current models. The clunky machines we’re used to are being replaced by increasingly smaller devices, some of which could comfortably fit in your hands. One of these new nanosatellites is the CubeSat. As its name implies, it’s simply a small cube, 10 centimeters (4 in) long and weighing a measly 1.3 kilograms (3 lb). These satellites are highly customizable and easy to transport, which is why NASA is currently allowing students and schools to submit their own designs. The chosen sats will then be launched into space. 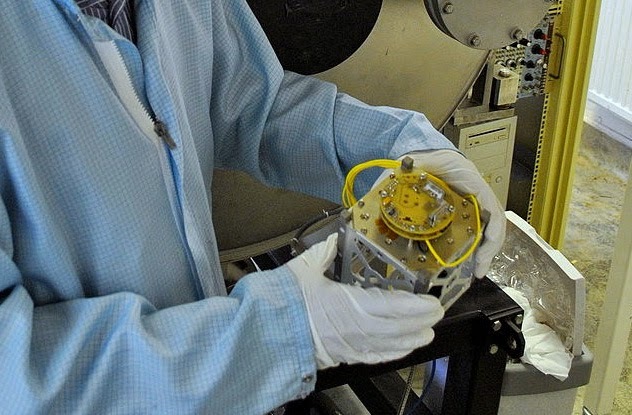 They’re so small that they can easily be carried as payloads on previously scheduled missions. Fun Facts: Speaking about manmade stuff orbiting Earth, there are tens of millions of pieces and fragments of human-made debris in orbit. 500,000 are large enough that NASA feels its necessary to track them. In 2005 there were 13 nuclear reactor cores, eight thermoelectric generators, and thirty two nuclear reactors orbiting at less than 1,700 kms above us. Finally: My Detroit Tigers are in the playoffs again, wining their division for the fourth straight year. Go Tigers! Question: Do you have a team in the playoffs that you are following? Well, that space stuff sure was fun. And don’t forget to sign up for the 2014 Survive and Thrive Blog Hop! A colonoscopy is so important. When my grandfather was diagnosed with colon cancer, the doctors said it must have been in his body for over twenty years because the disease is slow to develop.Sadly, the moment we notice the symptoms it's already too late. Hilary , is your post about Vanessa's Grandfathers colonoscopy or about space junk , I'm struggling to choose which one! Great blog hop. I was sorry I didn't participate in the last one so am definitely doing this one. I live in Ann Arbor. I don't follow sports much but am excited about the Tigers. I think I know the team that Alex wants to disown! Nice idea for a blog hop....I know I need to schedule that physical soon. And we thought bug splatters on our car windshields were bad. I am horrified that we have cluttered up space to this extent. I think a way of cleaning up our debris should be found. More important than sending up more "stuff". As I already wrote on Alex's blog, it's easy for those of us in countries with national health systems to make health visits. However there are many people who just cannot afford regular doctor's visits. Yay for the Tigers!! Stephen, I'm glad that your recent colonoscopy went well. I've often felt that a good vacuum needed to be created to take care of all the debris in the orbit around the earth. I participated in the health blog last year. I need to put on my thinking cap for this year. Yeah, space has been an official dumping ground for decades. We pollute our waters, air, and land. Now we are orbited by man-made space debris that occasionally falls back to Earth. Signed up for the bloghop. Very interesting stuff about the satellites and a bit scary. Sadly, our house follows the Phillies and they were terrible this year. Detroit needs all the good news it can get. Looking forward to hosting with you on this very special BLOGHOP! I'm signed up and I can't wait. This is a really wonderful bloghop and I can't wait to get started and bring some awareness. I recently blogged about Mesothelioma - asbestos cancer - in support of Meso Awareness Day. Could I use that post, redrafted for this blog hop? Absolutely. Copy and paste away! I think that is a great bloghop idea. You know, I just don't see how satellites that tiny can be effective for all their uses. Guess we'll just have to see how it all works out. Do you think that 2007 destruction of the weather satellite was inspiration for the movie Gravity? I was pleased to join this one. It had a great message. So great that your polyps were discovered early enough to treat.